Rabie is planning a major expansion into the retirement industry with the launch of three exciting new lifestyle villages in the Western Cape within the next eight months. The new villages, which will all be based on the Life Right model, will have a strong emphasis on lifestyle, offering residents a range of superb facilities, including luxury clubhouses and primary health care services, right from the start. CEO Leon Cohen said they aimed to take retirement to a new level under a new brand, Oasis Life, providing exceptional lifestyle villages underpinned by the strength of the Rabie brand and its proud 40-year track record of delivery. “With people living longer and longer, we see huge opportunities for expansion in the retirement housing market. “We also think the Life Right model has many benefits for purchasers not least of all the fact that it guarantees professional management taking away many of the worries facing Body Corporates. Purchasers also have more certainty about levies and won’t face any special levy surprises. They will all be based in existing Rabie mixed-use developments, namely Century City, Burgundy Estate and Clara Anna Fontein in Durbanville which all offer additional lifestyle amenities right on the doorstep. Clara Anna Fontein will be the first to be launched in November this year, followed by Burgundy Estate in February 2019 and Century City shortly thereafter. 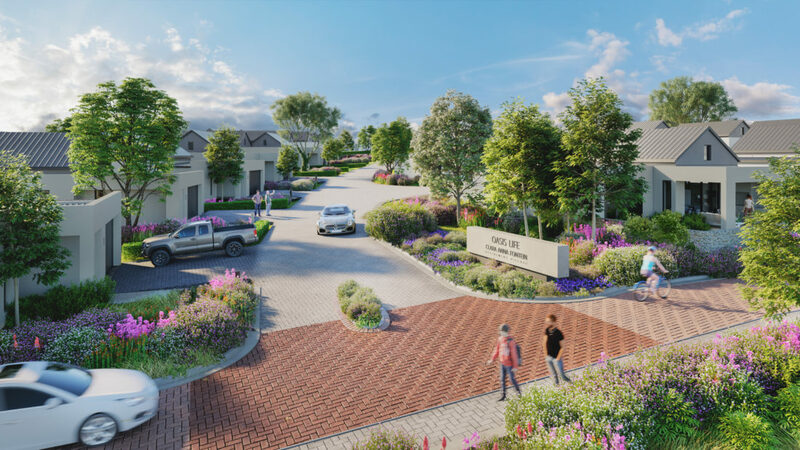 The Clara Anna Fontein development in Durbanville, where the first Oasis Life village will be developed, will comprise 128 retirement opportunities. This upmarket mixed-use development, which has one foot in the country and one in the urban area, also has its own luxurious Lifestyle Centre comprising among other things a clubhouse, a gym, tennis courts, a squash court and a 25m heated swimming pool which Oasis Life residents will be able to enjoy as well as their own dedicated Club House. The second Oasis Life will be launched in early in 2019 at Burgundy Estate bordering the De Grendel wine farm. Here Rabie is looking at bringing on a more affordable model of retirement housing but still offering all the bells and whistles in terms of facilities including a luxurious clubhouse. Oasis Life Century City is planned as part of the Ratanga redevelopment and will consist of north-facing, water-fronting apartments which will be launched shortly thereafter. The launch of Oasis Life follows the successful completion of the Oasis Luxury Retirement Resort in Century City which Rabie developed in a joint venture.